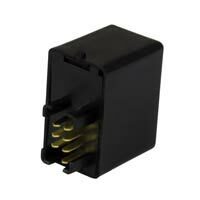 Suzuki 7 Pin 12 Volt LED indicator relay. 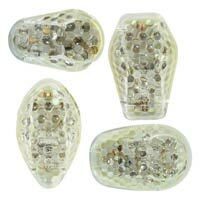 Led indicators work to a lower wattage than standard bulb-type indicators. When fitting aftermarket LED indicators, it may also be necessary to replace the existing relay with a specially designed Suzuki LED relay with the correct wattage. Easy and quick solution to fitting after market motorcycle indicators. Available for Honda, Kawasaki, Suzuki and Yamaha motorcycles. 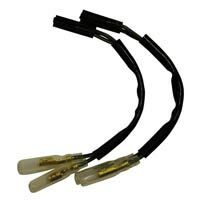 Easy and effective solution to upgrade OEM motorcycle fairing indicators. These indicators are shaped to fit the hole left after removing the factory originals.